Our steel strap brands are Specta Prima, Specta Factor, Specta Forte Modex, Specta Delta, Specta Forte and Specta Forte 15, which all are suitable for strapping large and heavy loads with both manual and automatic strapping machines. The strength and geometric features correspond to international standards EN 13246:2001 and ASTM D3953-13. In addition to our standard products, we also produce strap according to clients’ wishes. Specta Prima is a standard-quality strap for manual and automatic packaging of processed wood products, cold-rolled sheet and coil steel, non-ferrous metal ingots, and building materials. Specta Factor is a packaging strap specially designed for heavy-duty applications. It is used for packing steel pipes, rolled sections and hot-rolled steel up to 6 mm thick. Finished products can be packed at high temperatures. Specta Forte Modex is a high-strength strap designed for bundling of heavy products such as cast steel stock, rolled sections, and wire rods. Finished products can be packed at high temperatures. The strap may be used for packaging of products that are subjected to moderate dynamic loads during transportation and storage. Specta Delta is a high tensile steel strap suitable for packaging of heavy and hot products: hot rolled metals with thickness up to 25mm, metal pipes, ingots of different alloys, bars, rods etc. It is used for more tense packing of transported products in severe conditions in ferrous and non-ferrous metallurgy and construction industry. SPECTA FORTE is a high-tensile steel packaging strap specially designed for severe transportation and storage conditions. 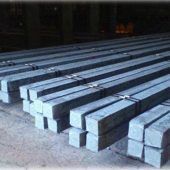 It is applied to pack complex cargoes including cast blanks, rolled sections, hot-rolled products, heavy-wall and seamless pipes.Finished products may be packed at high temperatures. SPECTA FORTE 15 has been specially designed to handle heavy loads. Due to its high strength and elongation as well as increased resistance to dynamic and impact loads, the strap guarantees reliable packging under heavy transportation and storage conditions. 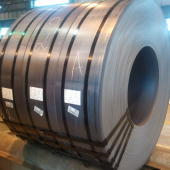 It is used in iron and steel and non-ferrous industries to pack hot-rolled coils and sheets, stainless steel (hot-rolled and cold-rolled), pipes, sections, wire, sectional and shaped iron. Finished products may be packed at high temperatures. 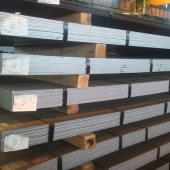 Steel strapping is used for up to 90% of all industrial cargo. 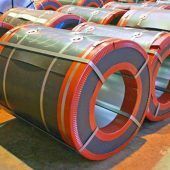 A wide range of sizes, mechanical specifications and protective coatings enable to select the optimum steel strap depending on the nature of packaged products, its weight, transportation distance and packaging process in production. Due to the geometric characteristics of Specta steel strap, it can be used with both manual and automatic strapping machines. All our strap is tested with modern control methods in our state-of-the-art laboratory at over 20 different stages and in the field. Our quality management system is based on ISO 9001:2008 standard. Specta steel strap is coated with an anti-corrosion black or zinc paint. The surface also has a special protective coating. The client’s logo or other graphics can be printed on the strap as an option. The edges have been rounded that makes strapping safe and easy. We provide our strap in oscillated, ribbon or Superjumbo coils. High tensile steep strap : SPECTA PRIMA, SPECTA FACTOR, SPECTA FORTE MODEX, SPECTA DELTA, SPECTA FORTE and SPECTA FORTE 15 are applied for automated and manual strapping of large-size, solid and heavy products in non-ferrous and ferrous metallurgy, wood-working, engineering, construction, everywhere where guaranteed protection of products packaging in rail, sea and road transportation is required. Specta steel straps can be used in a wide range of temperatures. The strap edge is finished and does not have any burrs. Standard coils/ Euro coils weighing up to 50 kg, ribbon or oscillated. 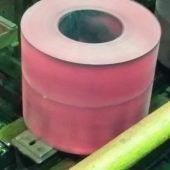 with Super Jumbo coils (2 coils, 900 to 1000 kg), weight of approx. 1800-2000 kg. Seal: strapping with a metal seal. Packaging tools are used for strapping. Seal-free: punching or welding (welding for automated machines only).